Home > Just Listed: Beautiful North Shore getaway! Looking for your own North Shore getaway? 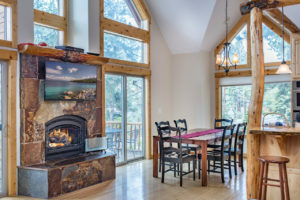 This beautiful mountain chalet-style home lies just moments away from Lake Tahoe’s Speedboat Beach, entertainment at Crystal Bay, and shopping and dining in Kings Beach. Escape to your centrally located Tahoe cabin with its inviting log and wood interior, and entertain in the great room with high vaulted ceilings and rock fireplace. From the granite counter tops in the kitchen to the fenced yard, this home has a lot to offer. Modern finishes throughout, ready for you to arrive and enjoy! Skiers enjoy easy access to Northstar California, Diamond Peak, Mt. 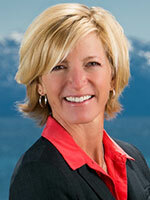 Rose, and the seven other resorts in the Tahoe area while living in one of the sunniest and warmest places on the lake. Outdoor enthusiasts can look forward to a lifetime of activities including mountain biking on the world-class Flume Trail; endless hiking and backpacking opportunities throughout the Tahoe Basin Management Unit; nordic skiing and mountain biking at the North Shore’s Tahoe X/C; snowmobiling and some of the most accessible back-country skiing in the United States at Mt. Rose; and all the paddle-boarding, water-skiing, kayaking, swimming and boating you can imagine.